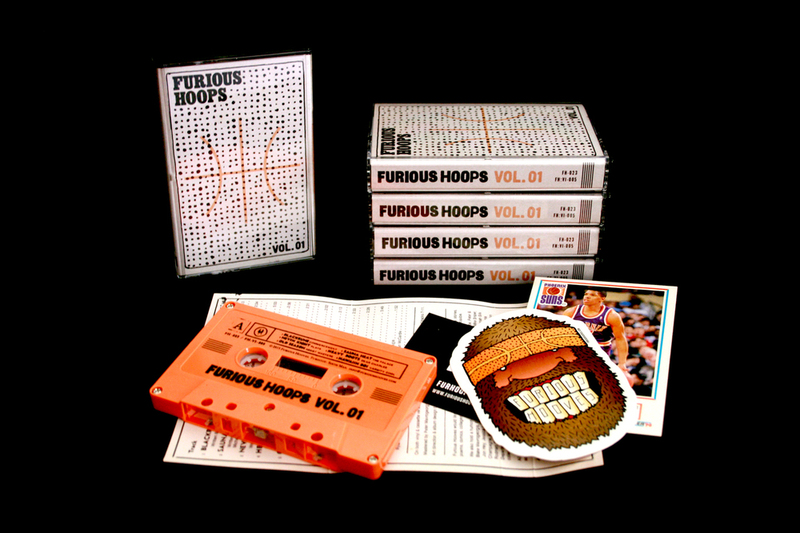 Furious Hoops Vol.01 – This compilation collects music and art to pay homage to the greatest era of basketball in human history—the 1990s. Musicians and artists from all around the globe gathered together to create something as memorable, unique, and furious as the players who inspired it. Furious Hooves is proud to present to you Volume One of this collection known as Furious Hoops. Pop it in the deck, lace up the kicks, and head to the court. *Pay attention to our Furhoof Giftshop this weekend as well if you live in an area missing out on the joys of tape hiss. **The zine, which was designed & curated by Ryan McCardle (art director & graphic designer for Captured Tracks / Omnian Music Group, Graveface Records, and others), collects hoops-inspired artwork from world-renown artists including Tim Cohen (The Fresh & Onlys, Magic Trick), Michael Skattum (Toy Designer, formerly of Wild Nothing), Joey Goodwin & John Gagliano (Unruly Heir), Liz Pavlovic (Crash Symbols label & Secret Decoder blog), Jose Ray, Rachael Perisho, and many many more.